A decadent combination of 24kt Gold Foil, Sterling Silver Foil embedded in Rich Opaque Red. Curves and round alternate ending in Sterling Silver Rondels. 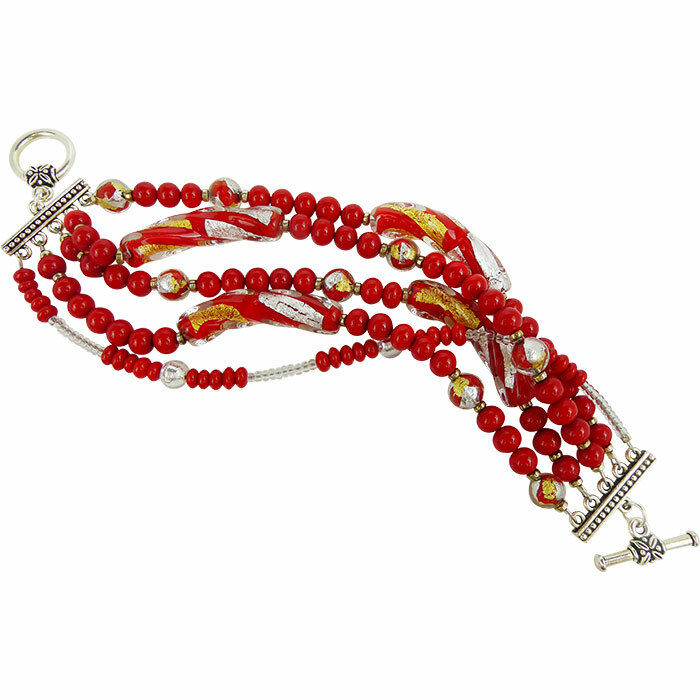 This bracelet is 8 Inches long with 5 luxurious strands in our Vicenza line. 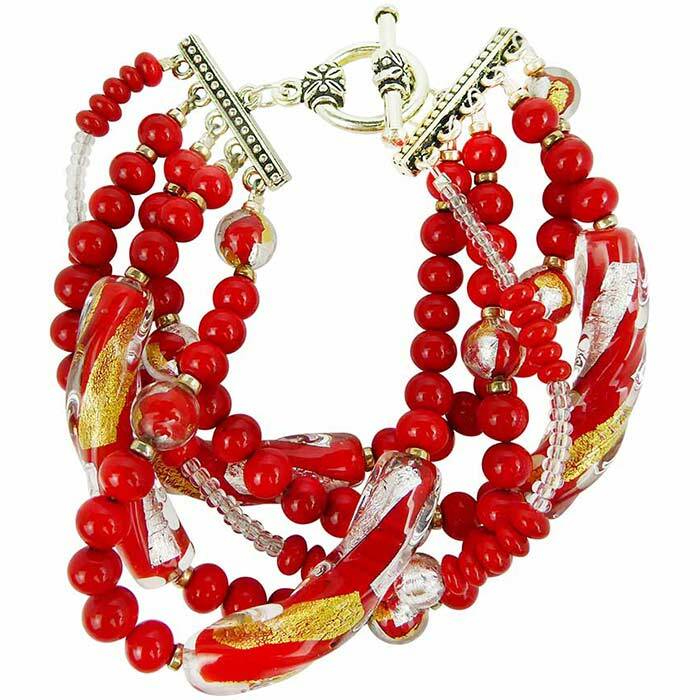 If you need another size, contact us.We directly import the Murano Glass Beads and design and assemble the bracelet here in our studio in the US.